Ahhhh hawker food, the pride and joy of Malaysians. 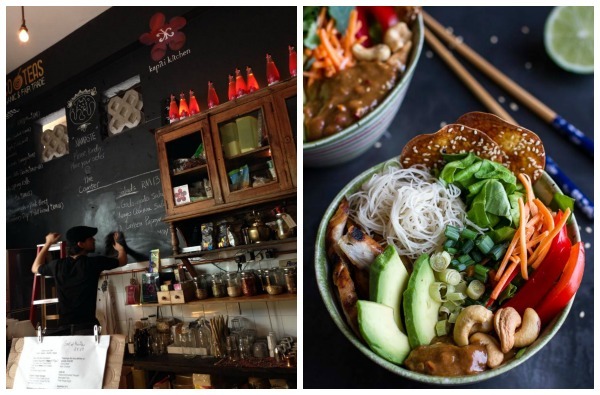 Ask any Malaysian on the street, and they can list down all 87 of their favourite hawker dishes, and name you the best spots to get your hands on said food item. Unfortunately, hawker food is also the salty, oily downfall of Malaysians. These greasy Malaysian favourites are often loaded with calories, cholesterol, sodium (salt), sugar, and low in fibre. Our beloved nasi dagang clocks in at a whopping 897 calories (that takes about 1.5 hours of solid running to burn off), while a plate of char kway teow fills you up with 744 calories and 38g of fat. Not exactly the best nutrient-combination for a healthy body. Unfortunately (or fortunately), hawkers are an unavoidable (and a much beloved) part of life for those who have no time to cook at home. This dish is low in calories and relatively high in dietary fibre. However, its drawback is that it’s high in salt, so if you have high blood pressure, try your best not to slurp up all the gravy. If you have high cholesterol, you should ask for the dish without egg, and replace with more veggies (for vegetarians) or sliced chicken (for non-vegetarians). This is a better option compared to the oil-laden char kway teow. However, snoop around the hawker stall and see if the soup has a layer of oil on top. Don’t order it if it has a thick layer of oil. When ordering, ask for more veggies and skip the meat balls, fish balls , or other processed foods as these are generally high in sodium. Once again, don’t finish the soup as that’s where most of the salt’s hanging out. Porridge, in general is a healthier choice at hawker stalls as they are low in calories and fat. However, because there aren’t any veggies in the porridge, the dish is also low in fibre, which isn’t that great. 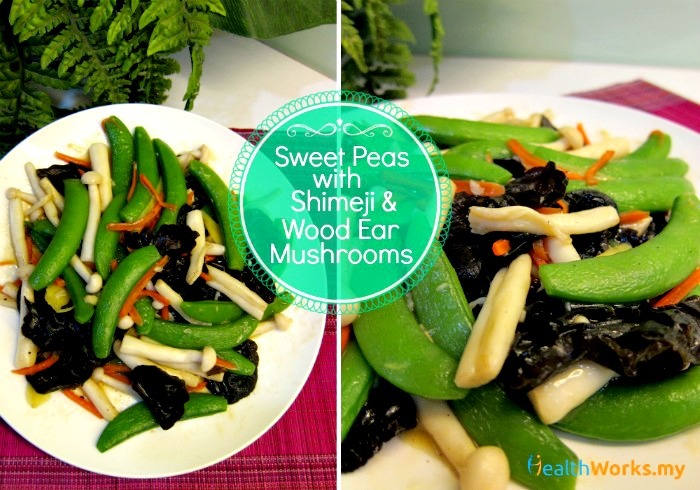 Avoid eating it with yau char kway (Chinese crullers) as these are high in calories and fat. Century egg porridge or internal organ porridge (chu chap zhok) are bad choices as these are very high in cholesterol. If you add salted egg in, the sodium content would also increase. In a nutshell, stick to chicken, fish, or pork porridge without any add-ons (unless they’re veggies). The thick fish gravy provides plenty of protein and the dish is very low in fat. The only concern is its high sodium content. Try not to pile on the shrimp paste (hei ko) if you can resist. We know it’s hard. If you select only non-fried items and add on a serving of veggies, chee cheong fun actually provides quite a nutritious meal. Just remember not to ladle on too much sauce and stay away from the deep-fried stuff. Your best option at a hawker stall would be the mixed rice. Select two veggie dishes and one protein, along with a Chinese rice bowlful of rice (preferably wholegrain; brown rice) and you’re good to go! Be observant when it comes to selecting your dishes. If it’s greasy and shiny, it probably means it’s also loaded with fat and calories, so stay away. The general rule is to go for the S – Steamed, or Soup instead of the F – Fried, and Fatty. Share with a friend and order an additional vegetable dish so you can up your fibre intake. Your drinks matter too. Sip on plain water, tea (without sugar), herbal teas with less sugar, freshly squeezed fruit juices with no added sugar, and barley with less sugar. Yup, keyword is – no sugar. Note: This is not a definitive guide to healthy hawker food as how healthy the food is depends on how it had been prepared, and combined with other ingredients. And as you know, every hawker has their secret recipes. You can make this go your way by choosing wisely. Note on nutritional values: According to the Dietary Guideline of Malaysia, your daily salt intake should be a max of 1 teaspoon a day (Did you know a Sausage McMuffin already contains almost 1 teaspoon of salt on its own? Think about all the other places you’re getting your salty fix). There is no recommended intake for fat and sugar in Malaysia (except to try and minimise as much as possible). Not a hawker fan, but a mamak lover? See how you can make healthier choices at a mamak too! 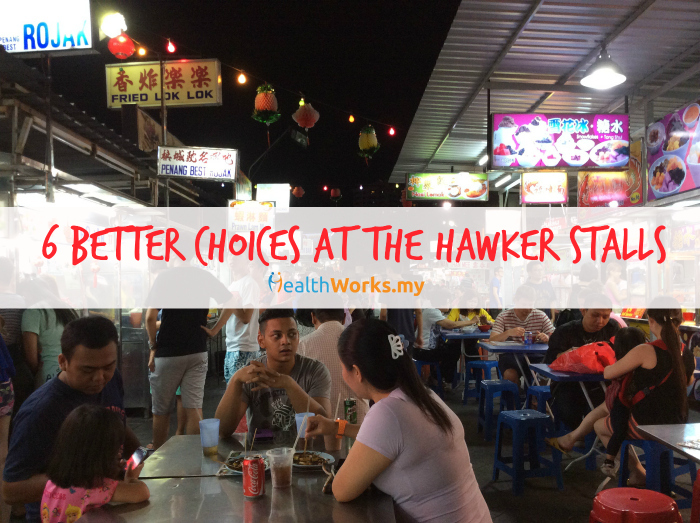 What other healthier hawker choices do you usually go for? Share them in the comments below or on our Facebook page! Contributed by: Ng Ai Kah, Dietitian & member of the Malaysian Dietitian’s Association. 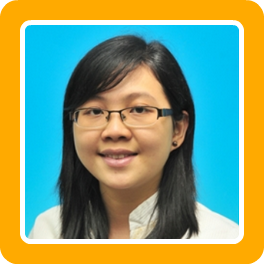 Ng Ai Kah is a practising dietitian and a member of the Malaysian Dietitians' Association, as well as the American Overseas Dietetic Association. She obtained her Bachelor's Degree in Dietetics with Distinction from Universiti Kebangsaan Malaysia (UKM), and a Master's in Public Health from International Medical University. Surprised chicken rice is not listed?